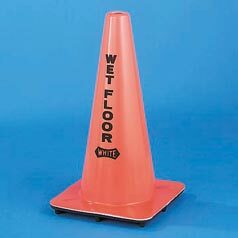 Bright orange with black “Wet Floor” warning on two sides. Durable, one-piece molded plastic with 10-3/4" square weighted base. 18" high.